This post is an attempt to list some of the common or not so common components which might be used to make up an IT Infrastructure Design or used in an existing IT Infrastructure. The intention is to list most of the component categories that make up an IT Infrastructure, and provide a few alternative providers/products in each category. It would be an impossible task to make the list all inclusive, and I apologize in advance for any omissions, mistakes in categorization, or missing categories. Getting close to 2012 hence the inclusion of 2012 in the title. I will update as I come across new things or remember others. Cheers! 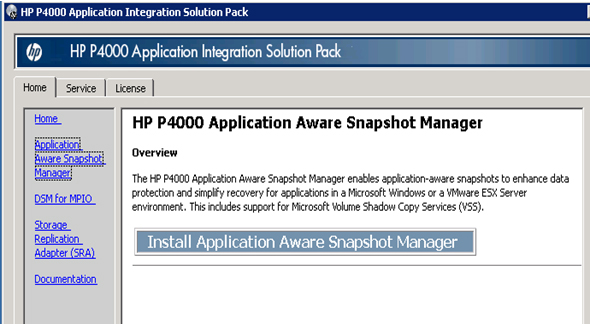 The HP P4000 Windows Solution Pack is replaced by the Application Integration Solution Pack, which will include the Application Aware Snapshot Manager. This tool will allow users to take Application Aware snapshots for both VMware and Windows volumes and create application consistent, point in time copies for speedy and reliable recovery of VMs. 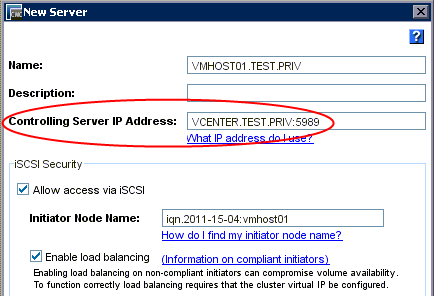 i: Users configure IP addresses of Virtual Center server in CMC. iii: CMC communicates with Virtual Center server during snapshot process. iii: Virtual Center quiesces VMs and takes VMware snapshot. VMware tools within guest quiesces applications. iv: SAN/iQ hardware snapshot contains VMware snapshots, which are visible to ESX when SAN/iQ snaps are presented to host. SAN/iQ 9.5 supports the Hyper-V VSS writer allowing users to take quiesced snapshots of Hyper-V VMs. Users may now schedule local and/or remote application aware snapshots of Hyper-V VMs. i: Enabled with P4000 Application Aware Snapshot Manager. ii: SAN/iQ communicates with the Hyper-V host during snapshots process. iii: VMs are quiesced by Hyper-V VSS writer. iv: SAN/iQ snapshots contain application consistent snapshots of VMs. 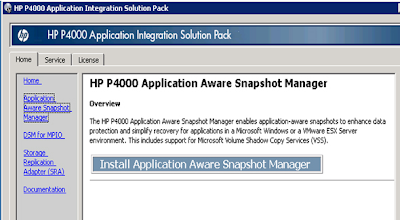 Figure 2: HP P4000 Application Aware Snapshot Manager provides the ability to take application consistent snapshots of Hyper-V or VMware virtual machines. i: All new home page for CMC. ii: Provides single pane of glass view of entire P4000 environment. iii: Key information for all Management Groups displayed in a single view. v: " Undockable " to allow monitoring of SAN Status while performing other administrative tasks. All new installer for P4000 VSA – speeds and simplifies install process for one or a thousand VSAs. 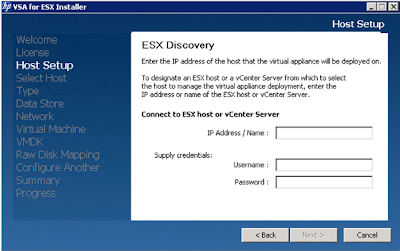 i: Single installer can install VSA, FOM and CMC. 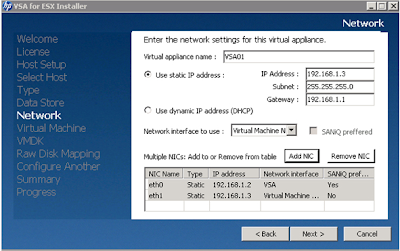 ii: Go from " zero " to a fully functional virtual SAN in just a few easy steps. 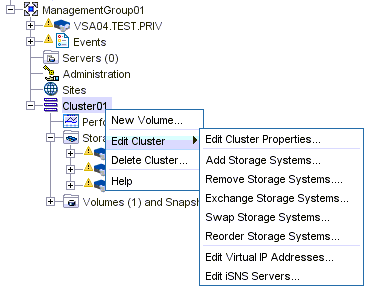 i: Cluster Swap functionality allows users to replace or upgrade P4000 clusters with just a few clicks. No maintenance windows and no downtime. ii: New Edit Cluster menu guides users to better decisions when adding, removing or exchanging systems. iii: Migrate data online between tiers. Figure 6: Peer Motion capabilities simplified with new tools for online data mobility. iii: Suggest replicating volumes when expanding clusters from one to more than one system. Following on from a comment posted on a previous post, here's a quick explanation of why MEMCTL (with MEMSZ), SWAP, and ZIP can be used to diagnose a memory bottleneck at the ESXi host level. MEMCTL (MB) = displays the memory balloon statistics. MEMSZ (MB) = amount of memory allocated to a virtual machine. SWAP (MB) = displays the ESXi swap usage statistics. Second: Why we might want to look at these? MEMCTL (MB) & MEMSZ (MB) – need to look at these two metrics together. Ballooning as displayed by MEMCTL is not always a problem and could indicate that guest VMs have been over allocated memory (see MEMSZ for guest memory allocation;) also, if an administrator has set a VMs memory limit lower than the memory allocation, this will cause the VM to balloon. If have been careful to correctly allocate memory to guest VMs, then excessive ballooning again points to the ESX(i) host suffering memory contention issues; basically the host is taking memory away from inside guest VMs by using the memory balloon driver installed along with VMware tools, with this memory being written to the vswp file. Remember that – unlike in the physical world – in the virtual world throwing too much resource at a virtual server can actually result in less performance. Third: Where can we see these? When in esxtop, type a lowercase h to bring up the help screen as below. Press any key to exit this display. esxcli swiscsi vmnic list --adapter vmhba?? esxcli swiscsi nic add -n vmk? -d vmhba?? Run the below command to check the vmk? is bound to the vmhba?? esxcli swiscsi nic list -d vmhba?? esxcli swiscsi nic remove -n vmk? -d vmhba?? Note 1: If the Software iSCSI adapter has already been configured, can disable this if intending to use the Broadcom iSCSI HBAs only. Note 2: In theory, using the Broadcom iSCSI HBA will give a performance benefit as encapsulation of SCSI commands into iSCSI packets is being done by the HBA and not using the hosts CPU. Download the MDSeriesStorageSoftware_....iso from Dell and mount to DVD-drive. Management Station: Installs the MD Storage Manager software to configure, manage, and monitor a storage array. Temporarily connect the management ports and iSCSI ports into one switch on one VLAN, along with laptop with MD Storage Software installed. Connect the Management ports on RAID Controllers 0 and 1 to either switches 1 and 2 respectively, or could put these on a separate switch if there is a requirement to save ports on the iSCSI stack. The iSCSI paths should be configured using round robin. Paths are active to one controller and standby to the other.